I love the feeling of building up a mental map of a once-unfamiliar place. 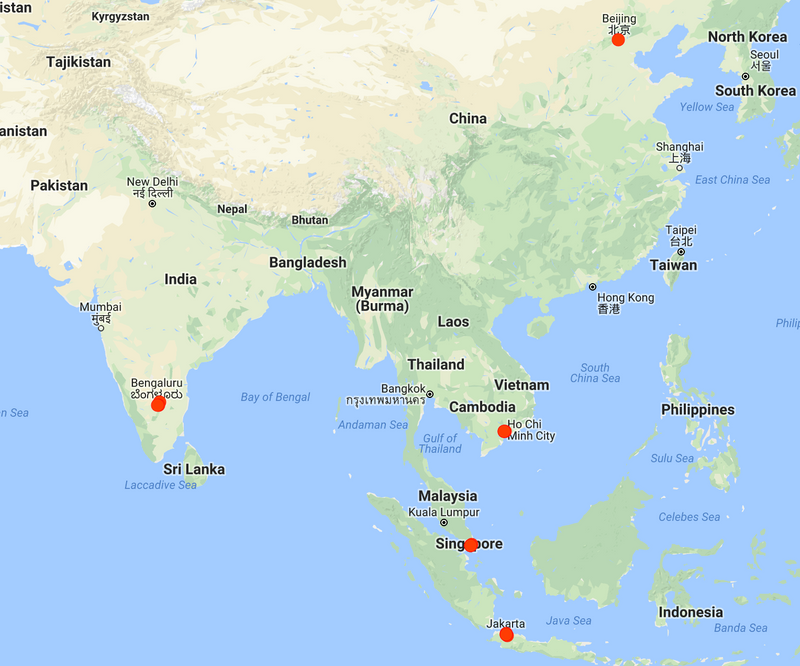 Last week I traveled to several cities that I’d never visited before (Beijing, Saigon, Singapore, Jakarta, and Bangalore), so March has been full of this sensation. I joked with friends that I was “training my neural net". I’d read a lot about two of the cities (Beijing, Singapore), knew a bit about one (Saigon), and knew close to nothing about the others (Jakarta, Bangalore). Now, I feel quite confident that given a photo of a street from one of these places I could name the metropolitan region with a low error rate. My internalized representation of each of these places is certainly not complete, but it’s much better than it was a week ago. I’ve also filled in some of my knowledge gaps about the economics and history of these places. The best part is that I made some friends in each city, and they’ve been drowning me with interesting local sources since I left. It was a productive, fun, and eye-opening trip! However, my memory is a sieve. I took copious notes, photos, and videos of each place, luckily. I also found interesting articles, read several books, and had interesting conversations that taught me more about the places I visited. I’ll be posting a consolidated write-up of each place over the next week or two in order to retain the experiences (and to share them, since you might find them interesting).